Happy New Year from Northern California Event Services! Unless you work in the event industry, it may be a mystery how events are developed and created. We got together with Heidi Marker who was the Event Designer & Coordinator for an 85th birthday party that took place in an airport hangar to shed some light on the topic. The end result is simply amazing... Enjoy! 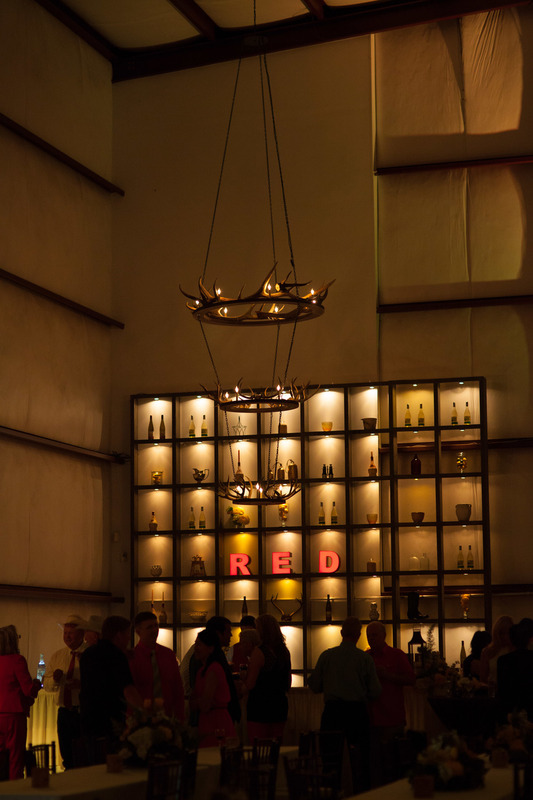 The guest of honor is a cattle rancher & we knew that we wanted to give a nod to some of his favorite things in the design. His wife wanted the party to have a fun, casual, elegant feel. Our goal was to create a space where their guests would feel at home. 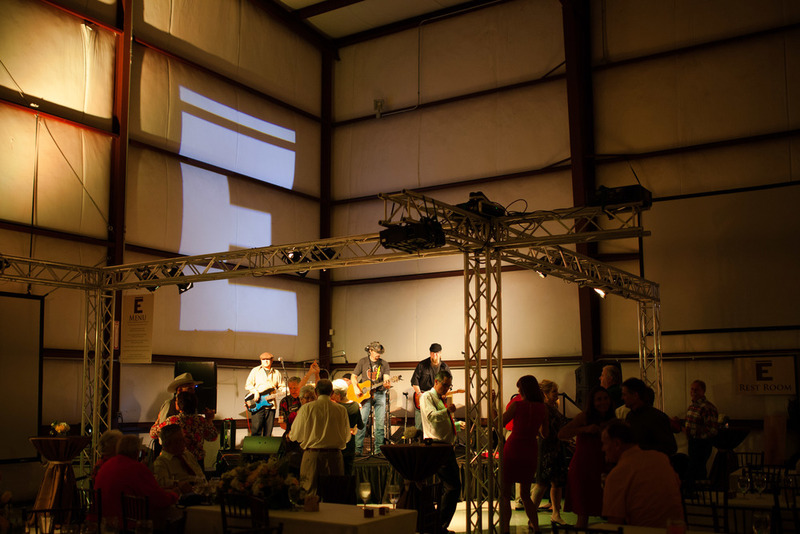 We decided to use a private airplane hangar as the venue because we loved the unique feel and grand scale of the space. We started the planning process 6 months in advance. We hired 18 part time staff in addition to the vendors listed. It took 3 days to load in and set up and a full day to load out. We had an 80x80x 40 foot high blank canvas to create the look and feel we envisioned. The first thing we did was order a custom built 16 foot x 16 foot shelving unit with individually lit squares for the back of the bar. We also ordered a custom, three tiered chandelier with the antlers from the deer and elk the guest of honor had collected from his past hunting adventures. The rest of the space was developed around these two large scale pieces. The stationary, signage, truffle boxes, dessert napkins and gobo were adorned with his cattle brand. The logs stripped of their bark were used as end tables and accent stands throughout the room. Walker Printing in Red Bluff refined our vision and created a masculine and classy stationary suite. Jon Thompson, from Net Sound provided the sound and lighting for the event. He used amber LED lights to back light the 12 foot ivory pipe and drape, which created a warm glow throughout the room. Jon ordered a custom gobo to illuminate the wall behind the band. Sarah Bos, from Sera Bella Flowers created stunning centerpieces with yellow and white spring florals and lush greenery. The rustic lanterns and birch log votive holders were from Jamali Garden.com. Party Dogs Rentals provided the rentals. The mahogany Chivari chairs created a crisp, classic look against the textured ivory linen. The 12 foot tall ivory pipe and drape hid the mechanical gears of the large hangar door. Premiere Catering created a fantastic menu that was absolutely delicious! Chef Sean and his staff provided amazing food, top shelf bar and excellent service to the guests. bc Catering provided the exquisite desserts for the dessert station. Barbe Cervantes is a master with sweets and desserts. She created beautiful and tasty bites for the guests to enjoy. The large truffles were hand made by Chocolat de Nanette in Redding. Nancy Matthews takes great care in her candy making. The truffles were the perfect party favor for guests to enjoy after dinner or to take home. The amazing and talented Katie Luther shot the beautiful images for the party. She is joyful and so fun to work with. Event Design by Heidi coordinated the vendors and designed the celebration. 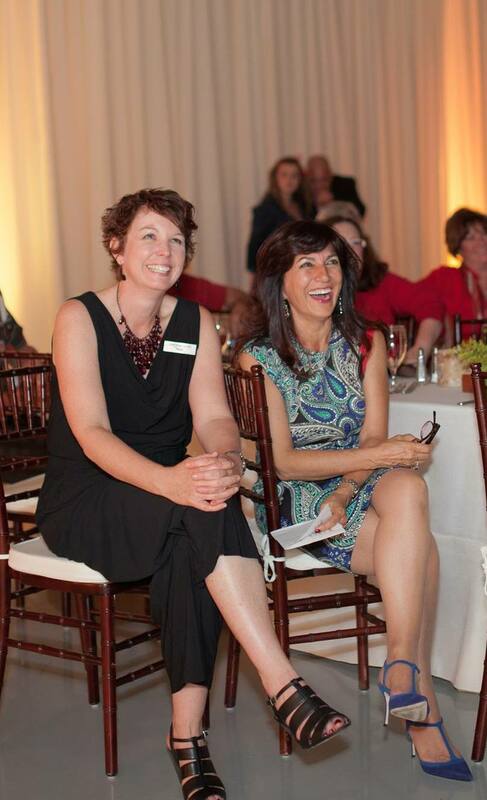 Heidi specializes in the design of luxury events.